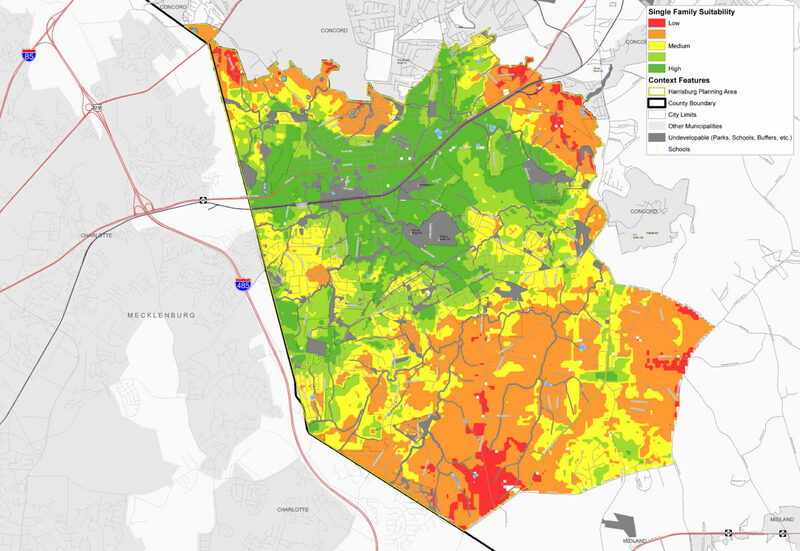 Stewart is working with the Town of Harrisburg and Cabarrus County on an update to the Harrisburg Area Land Use Plan. Harrisburg is one of the fastest growing communities in the Charlotte Region. The plan update seeks to preserve the family-friendly character of the Town, while re-energizing the Harrisburg Town Center and protecting unique natural areas and agricultural lands in the Reedy Creek Watershed. Stewart’s innovative assessment of existing land use and tax base, GIS-based suitability analysis, and public involvement activities will help guide the development of the future land use plan and associated policies. Stewart is also assisting the Town with parks, recreation and natural resource recommendations, bicycle and pedestrian planning, and utility infrastructure plan components.